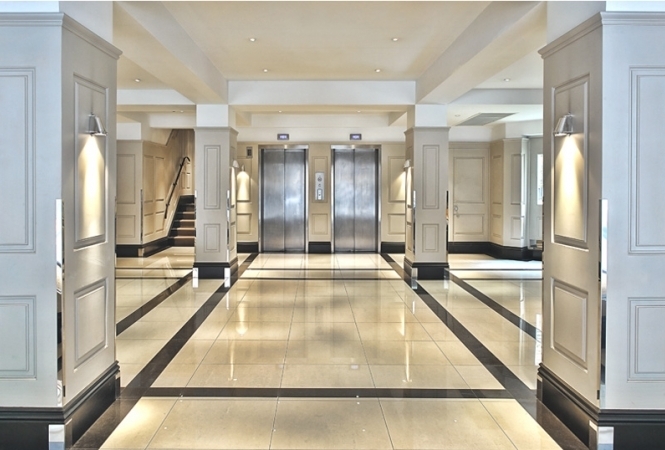 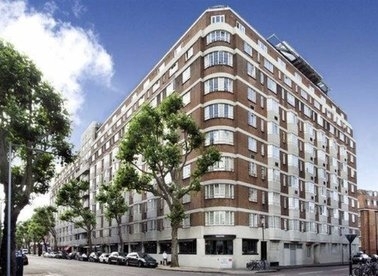 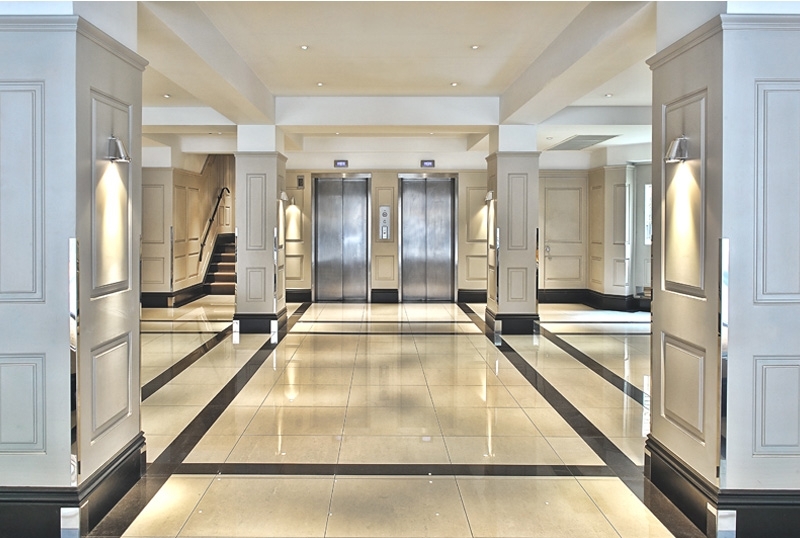 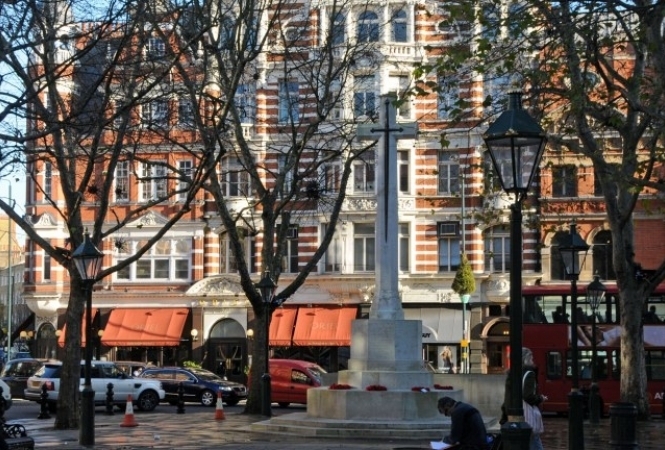 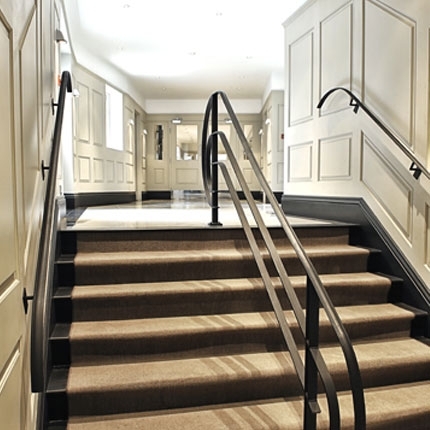 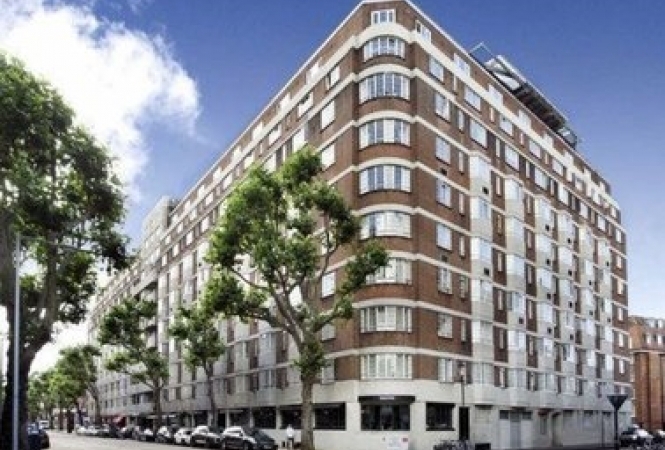 Our Studio is located within the Chelsea Residence Apartments near Kings Road. It is good quality, a well furnished and fully equipped serviced apartment with modern amenities. 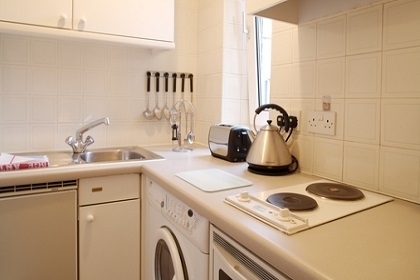 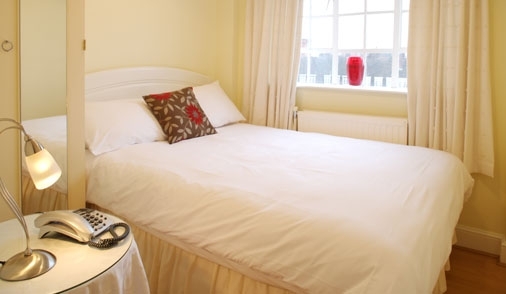 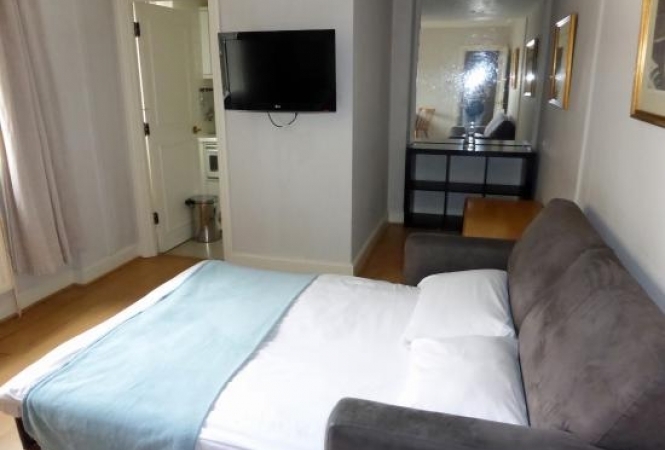 The apartment is serviced 5 days a week (general cleaning) therefore the apartment provides a comfortable stay to guests for long-term as well as short-term stay. 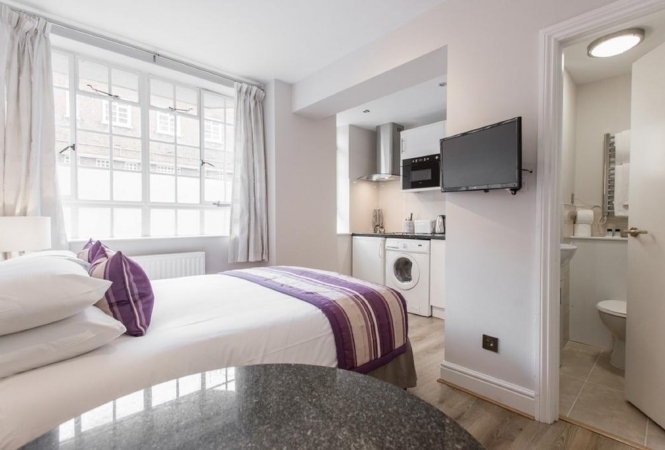 Our studio within the block is close to major London attractions which has an array of dining, shopping and entertainment venues. 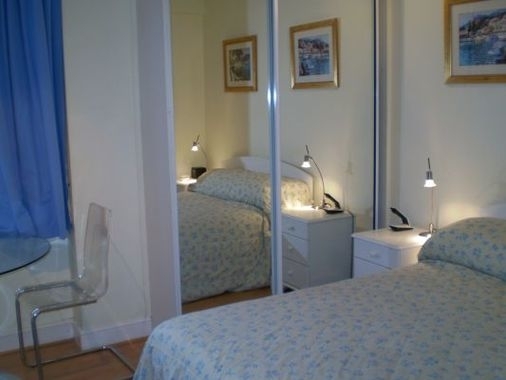 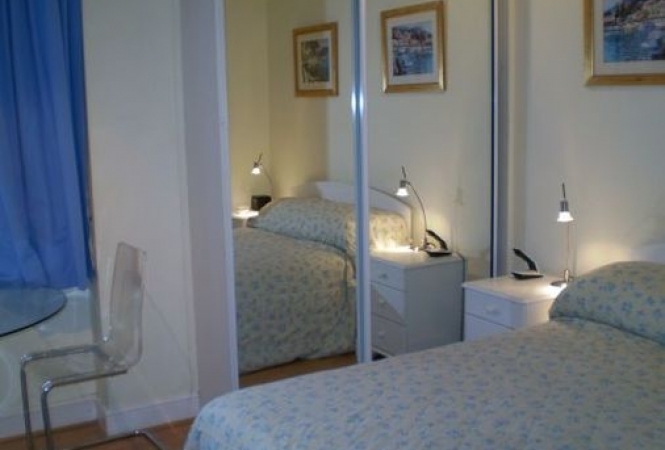 Our apartment is equipped with cable/ satellite TV, coffee/ tea making machine, trouser press, direct-dial telephone, internet access (payable), and many more facilities. 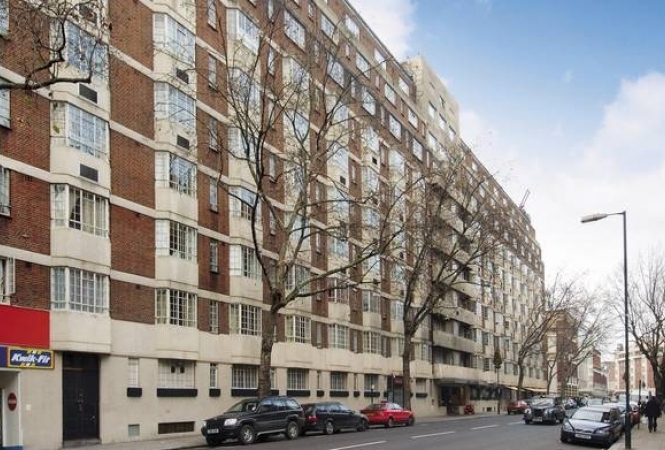 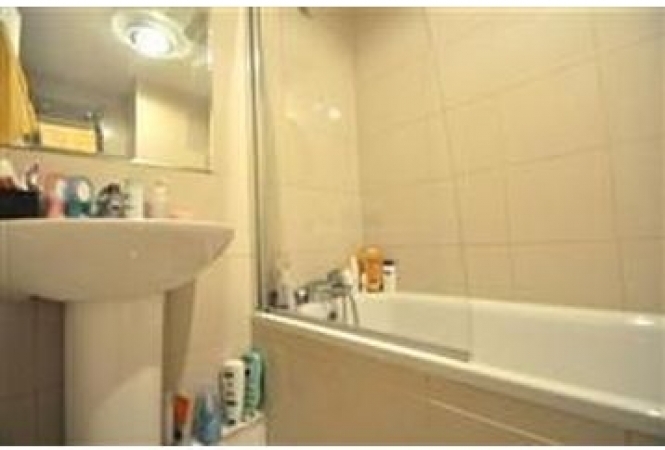 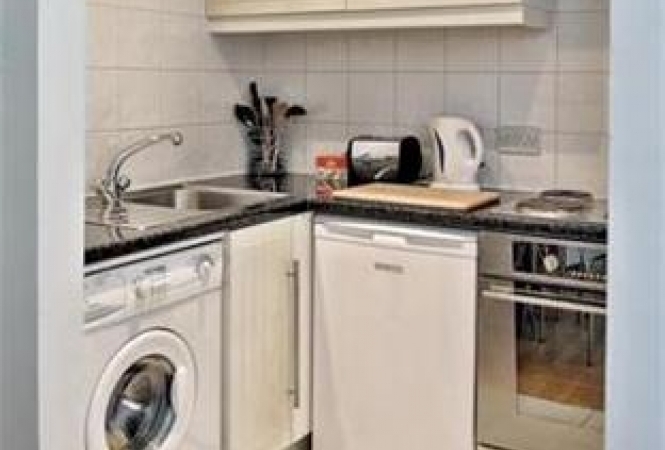 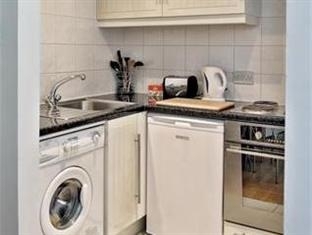 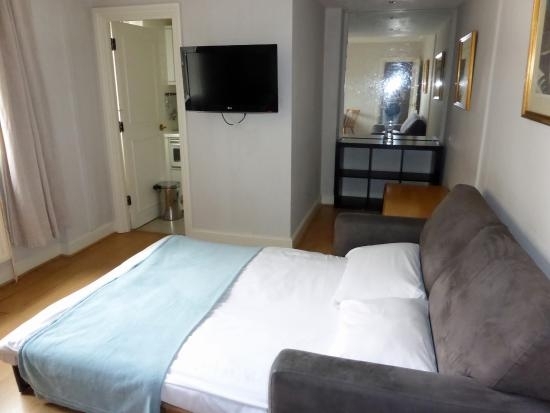 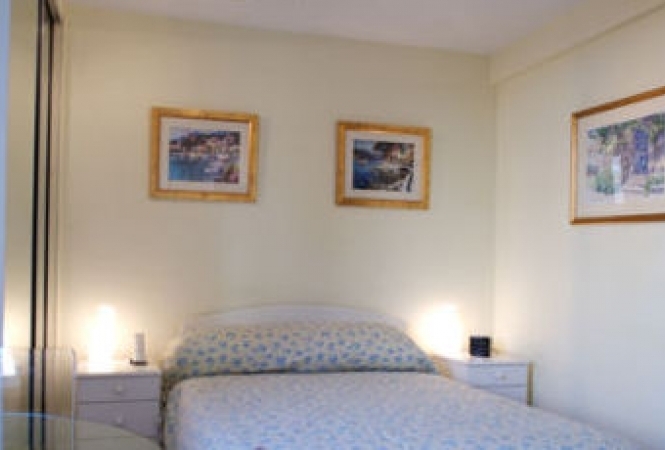 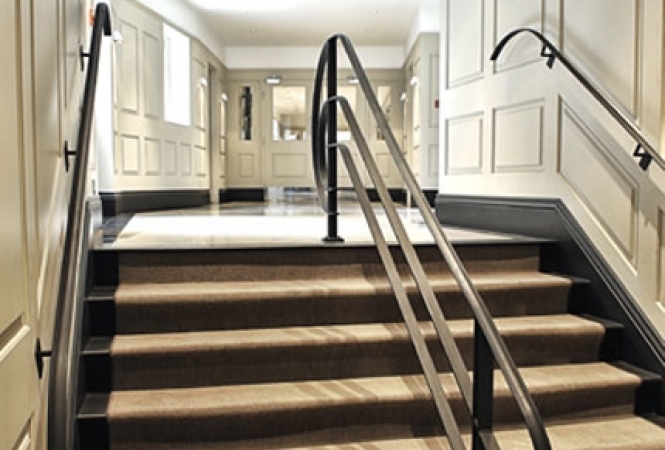 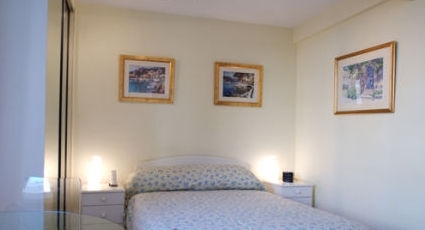 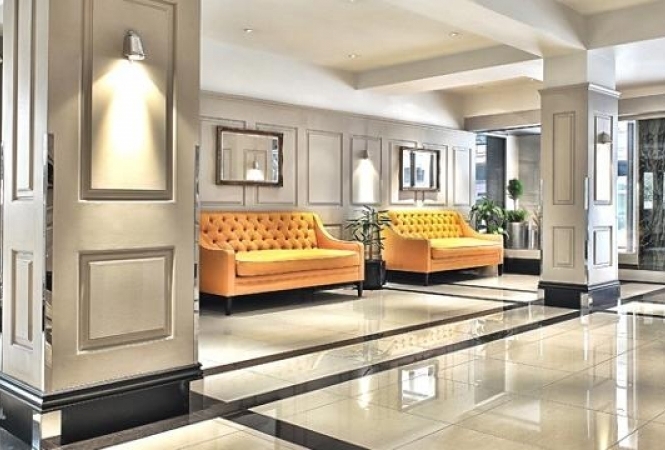 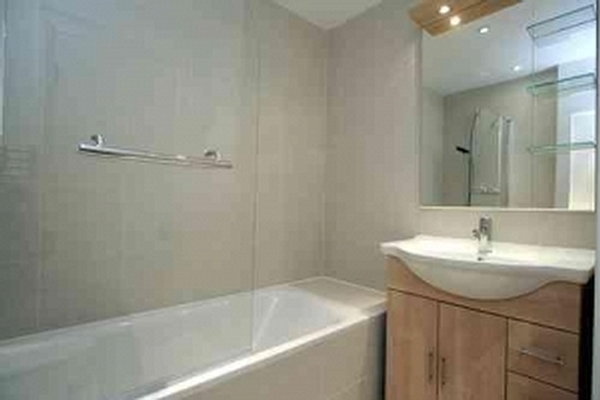 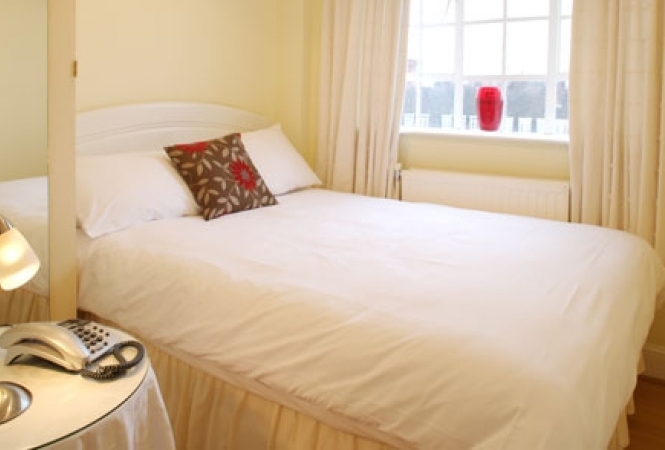 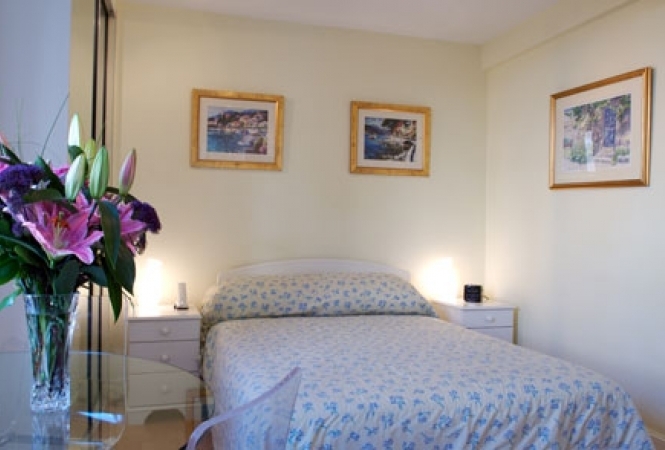 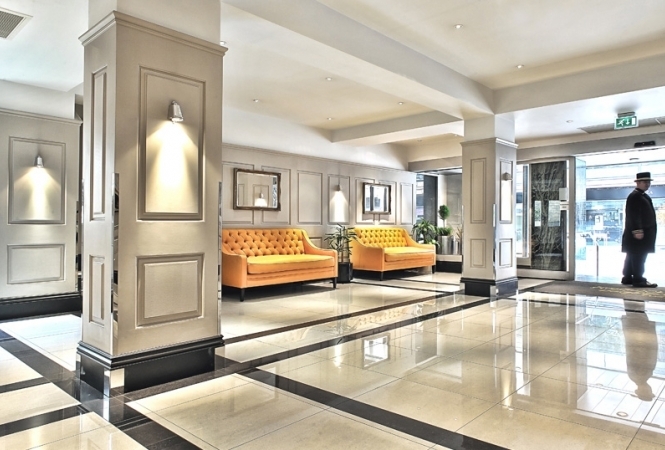 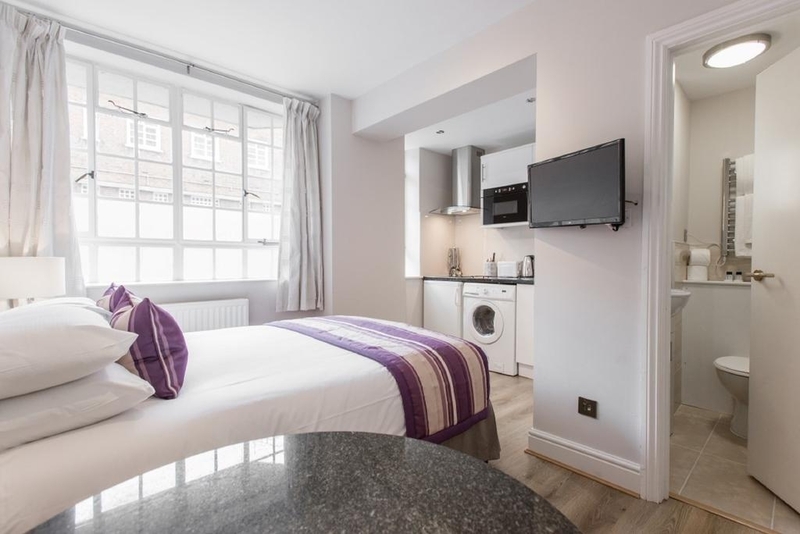 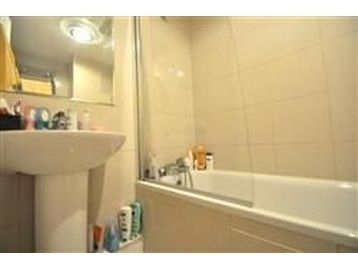 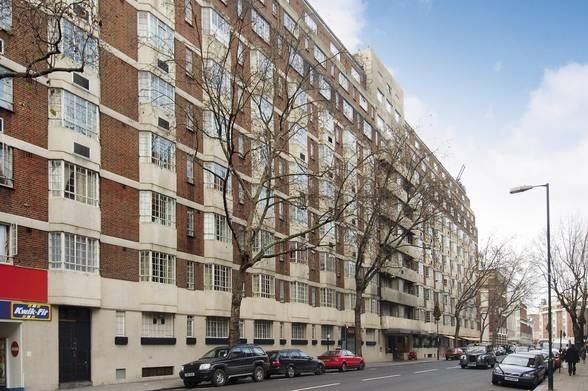 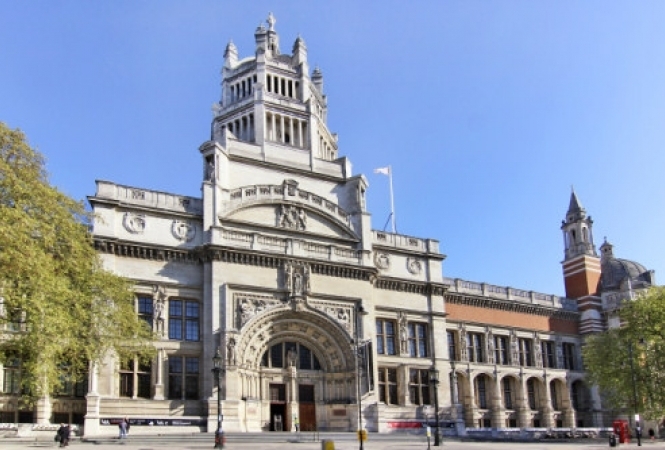 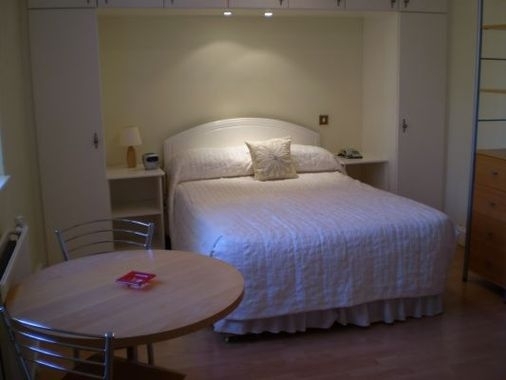 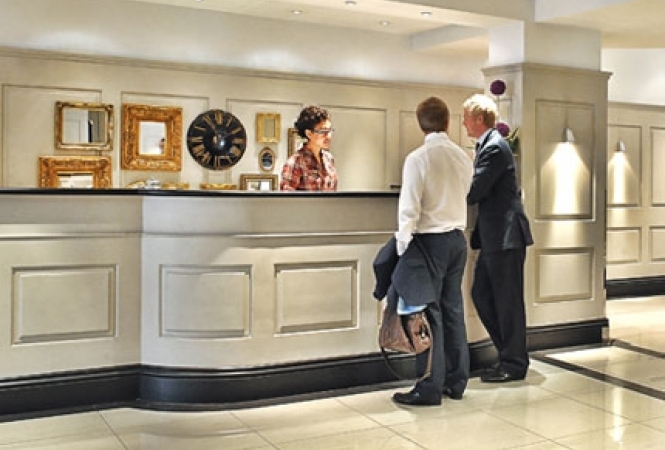 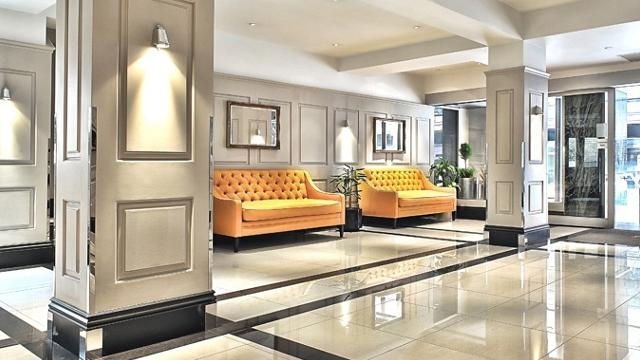 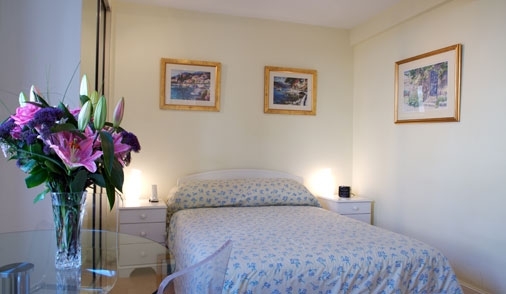 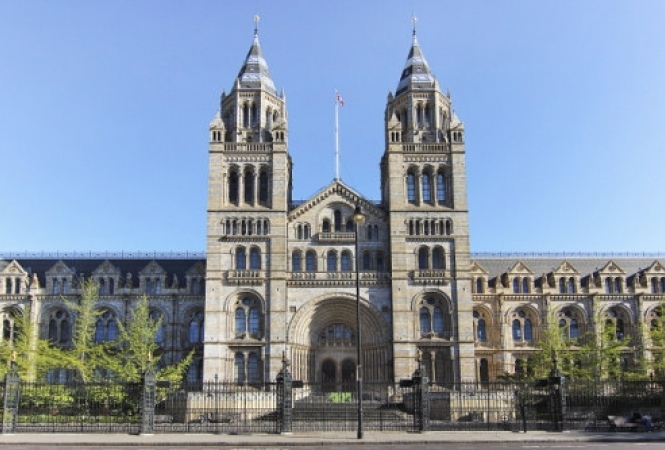 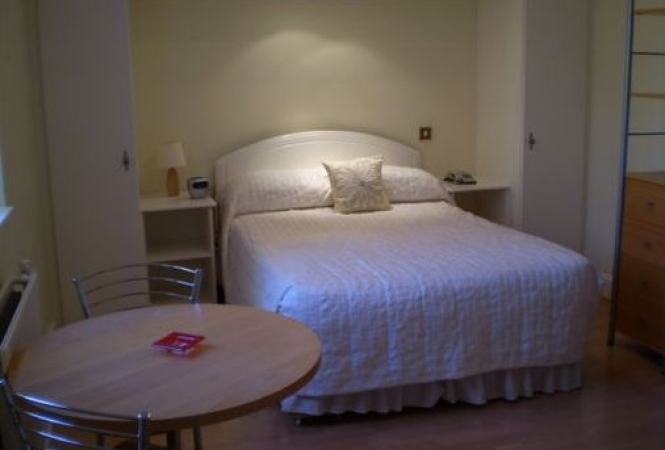 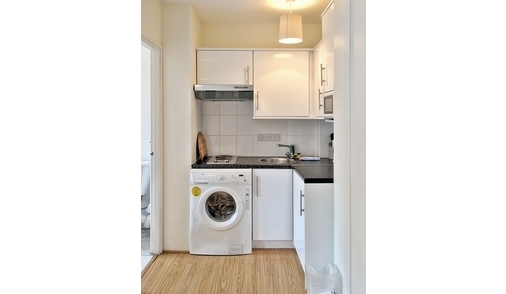 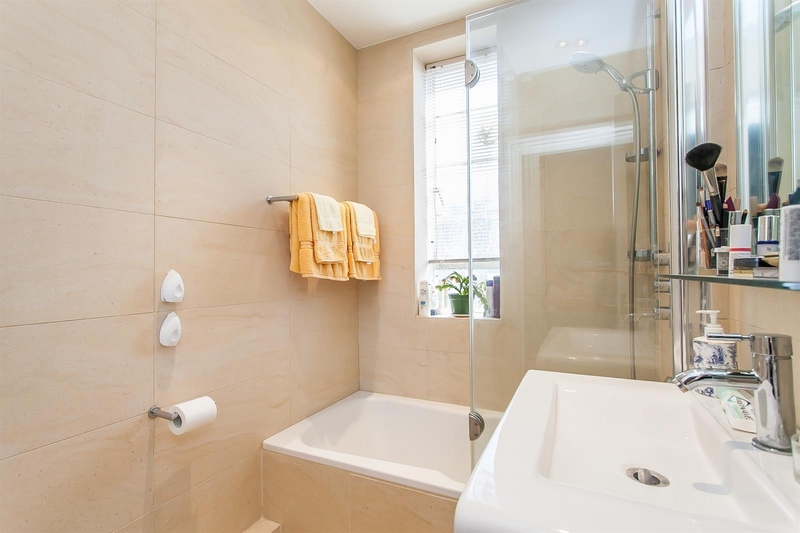 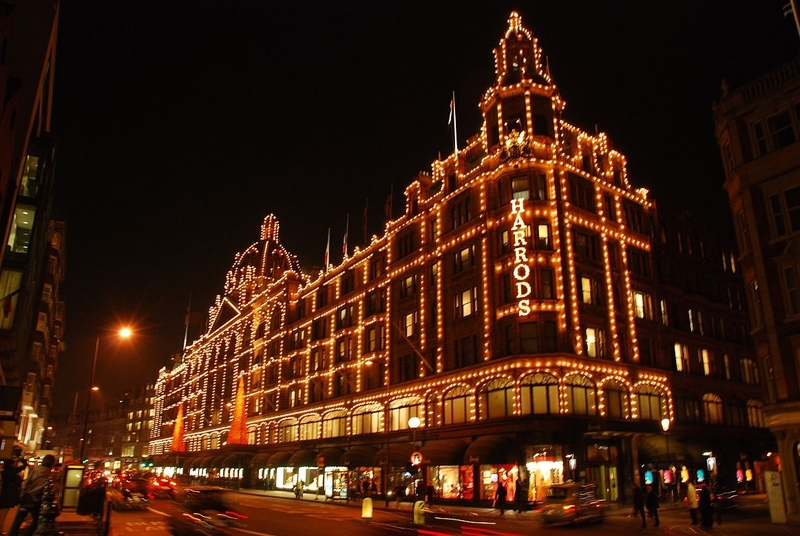 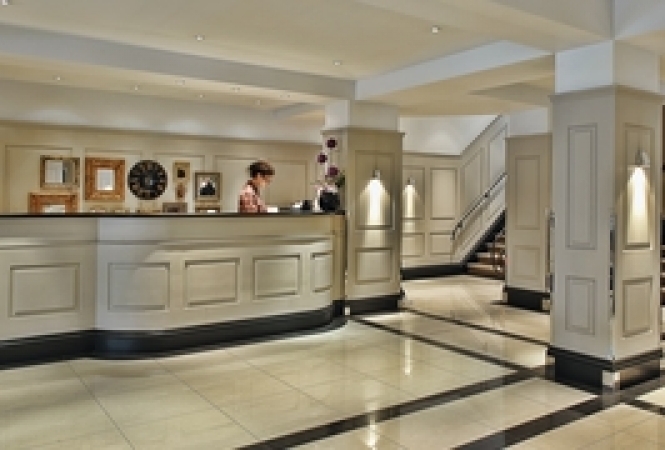 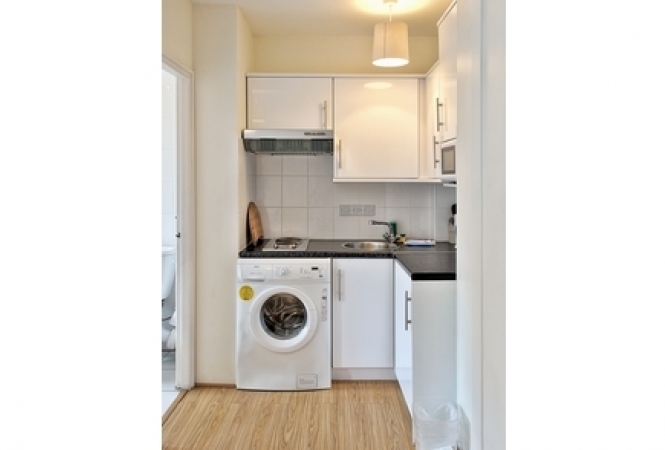 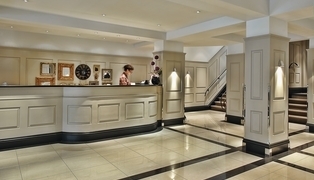 The nearest tube stations to the serviced apartment is Sloane Square or South Kensington tube stations. 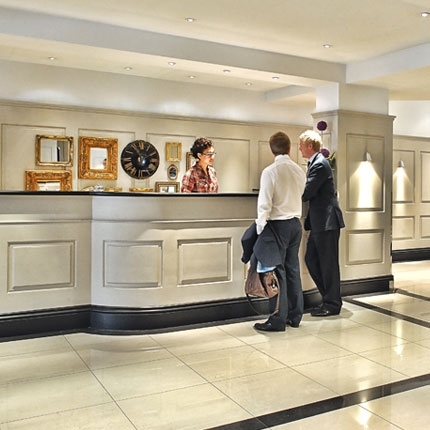 The 24-hour reception service provided by the serviced apartment helps in assisting guests with tourist information, booking theatre tickets and answering their queries. 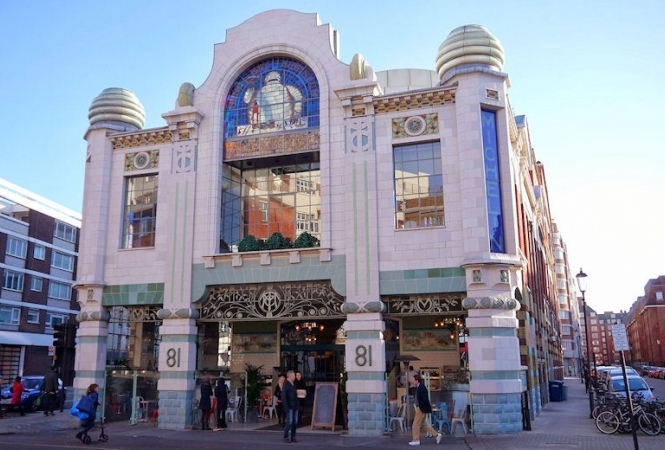 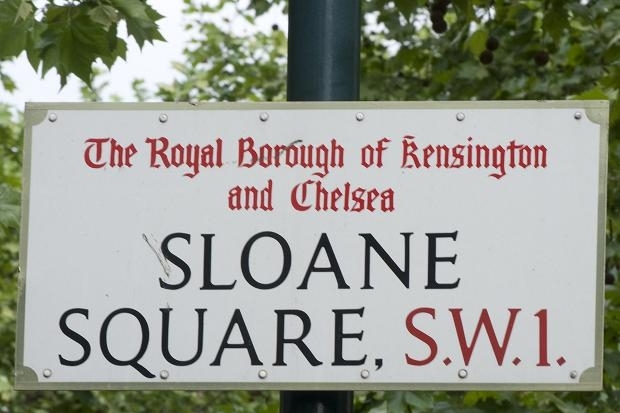 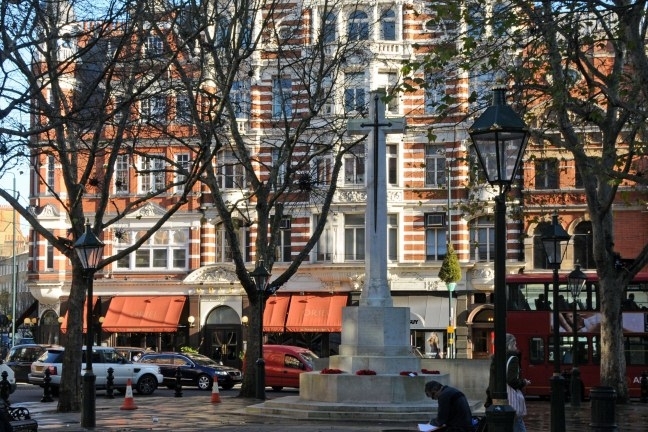 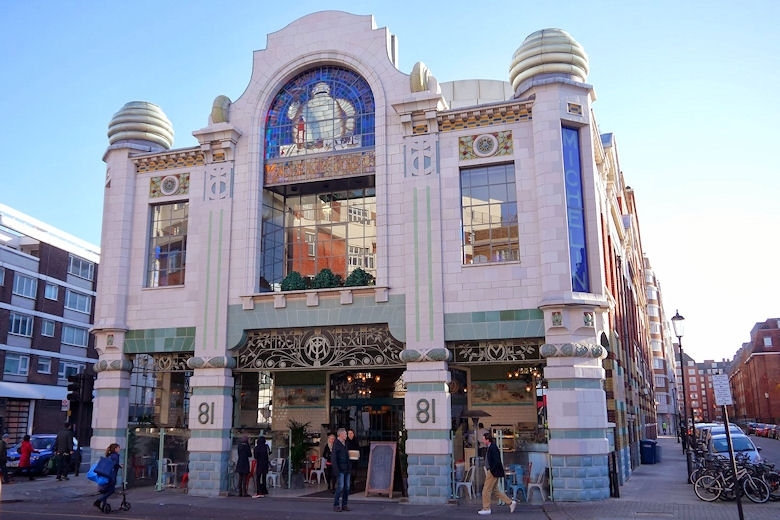 Chelsea is a star-studded district favoured by super-wealthy overseas property buyers; the area is internationally renowned for designer boutiques, Michelin-starred restaurants and fashionable nightlife in Sloane Street, King’s Road, Knightsbridge and Belgravia.